South Africa, located in the extreme south of the African continent, was once a Dutch settlement. An influx of British in the 19th century pushed the Dutch settlers, called Boers, northward. Mid-century discoveries of gold and diamonds made the area worth contesting, and the English prosecuted the Boer War until 1902. Partnership between those two European forces operated to the detriment of the indigenous population under a policy called apartheid, or “apartness,” which separated indigenous and European populations. That changed in 1994 when the two populations agreed to share political power, and today most of South Africa’s leaders are native Africans rather than Afrikaners, who are the descendants of the Dutch. Today South Africa is engaged in broadening access to its economic structure to remedy remaining social inequities, which is a process that draws international interest. For students of anthropology, South African sites like Bloemfontein are invaluable stores of fossils necessary for the study of human evolution. The Benjamin A. Gilman International Scholarship Program is sponsored by the State Department’s Bureau of Educational and Cultural Affairs. The program was established to diversify the group of students America sends abroad by giving scholarships to students who would otherwise not have the financial ability to study abroad, and you must be receiving a Pell Grant to be eligible. The average Gilman award is $4,000, and you may be eligible for an additional $3,000 if you study a language on the Critical Need list. South Africa is an excellent place to experience a variety of languages, because the country has 11 official languages, and others are also spoken. The Critical Need list includes four of those other languages (Arabic, Hindi, Urdu, and Gujarati). The Fulbright U.S. Student Program maintains a page of information on its financial aid for studies in South Africa, including full grants for nine months at a South African university to complete a research project. Preference is given to students who want to study at institutions less commonly chosen. You will receive extra funding if your dependents travel with you. Note: Some universities with study-abroad programs in South Africa, like Marquette and Hobart and William Smith, let you use existing financial aid to pay for courses approved by the school. 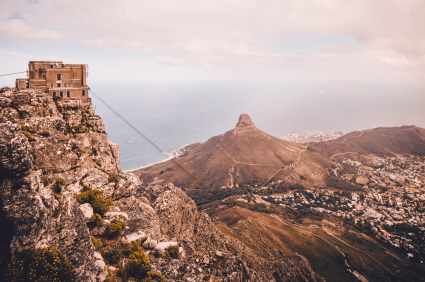 Michigan State University’s Office of Study Abroad (OSA) offers a number of interesting study-abroad programs in South Africa, and it also supplies scholarship funding to help students pay for their trips. All OSA scholarships consider both academic achievement and financial need. For the two freshmen seminars offered each summer in South Africa, you can use either the Office of Study Abroad scholarship or the Associate Provost for Undergraduate Education scholarship ($250 each) to defray your costs. The Forest Akers Scholarship goes to financially needy students who cannot apply for Pell grants. The MSU Federal Credit Union Scholarships are the largest awards, in the amount of $2,000 for an academic year. The Office of Overseas Study at Indiana University (IU) works with students at all eight IU campuses, including the one at South Bend which offers the Social Action Project (SOCACT) every other year. SOCACT, which is sponsored by the Psychology Department, works on research projects in social science. There is a page of scholarship information available for students in any of IU’s study-abroad programs. Students enrolled in SOCACT can apply for the David Starr Jordan Scholarships, and you can request details from your campus coordinator. The Isabella Cannon International Centre Scholarships go to students who can demonstrate financial need, and there is a special application form for these awards, which can be for as much as $1,000. The Geography Program Study Abroad Essay Contest is open to any Elon student who wants to travel, and brings $500 to the winner. The SIT Pell Grant Match Award, with which SIT will contribute the same amount as the grant itself. The Compton Fund, which supports students who take courses related to achieving peace. The HBCU Scholarships, which go to students from the nation’s Historically Black Colleges and Universities. NOTE: If your country of choice is under an official travel warning, that may affect any applications you submit. Please check application requirements carefully.